dance games, and teach a fun follow-along routine that matches your theme. ​NO DANCE EXPERIENCE NECESSARY! Cake, presents and more birthday fun will follow! Please contact us for more information! 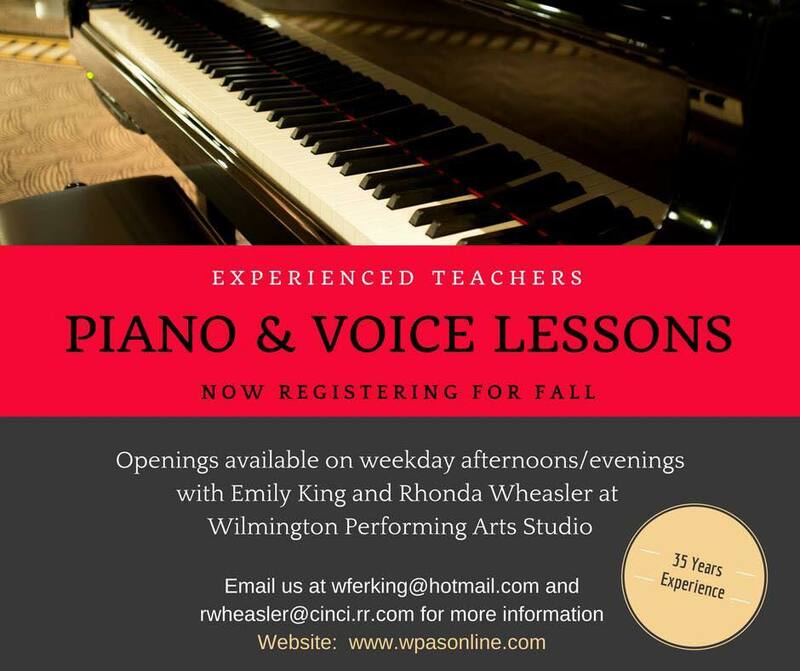 Wilmington Performing Arts Studio is dedicated to the quality education of the arts with emphases on vocal, piano and dance talent. We believe students who are entering the performing arts world, whether for recreation or professional training, should have a group of talented teachers focusing on fun, self-esteem, technique, discipline and appreciation of performing.